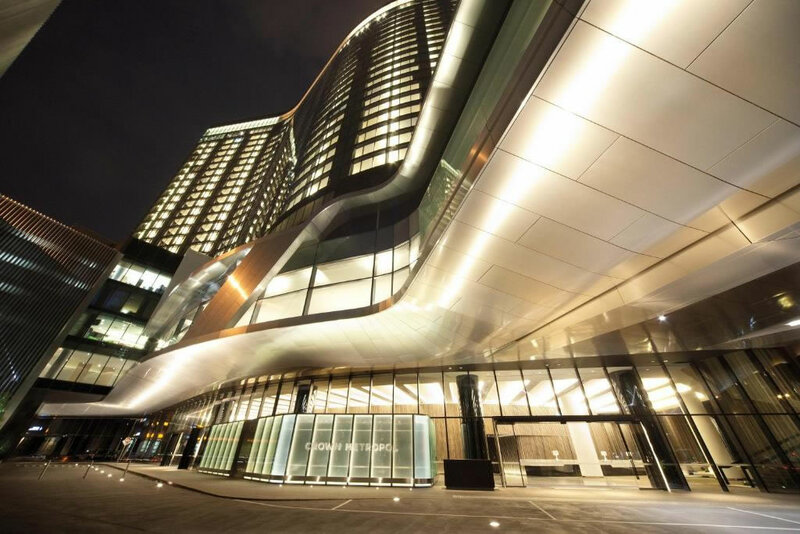 Crown Metropol is located next to the Crown Entertainment Complex, and opposite Melbourne Convention and Exhibition Center. Enjoy contemporary style and tasteful luxury accommodation in the heart of the Melbourne CBD with a Luxe King or Twin room, complete with either a King bed or 2 Queen beds from $255 per night. The City Luxe room offers luxury accommodation and spectacular views over the Melbourne skyline, complete with King bed from $298 per night. With superb panoramic views over Port Phillip Bay, experience the pure luxury and contemporary design of a Bay Luxe King room from $348 per night. Loft inspired living has arrived in the heart of Melbourne's CBD. This superb loft style suite with breathtaking city views starts from $618 per night. Experience cutting edge design, technology and comfort in this New York style luxury apartment, located on level 25 from $2,500 per night. The level three meeting space is Crown Metropol's business zone, where guests can organise their day, meet with clients, or simply work uninterrupted. 28 Skybar Lounge is located on the 28th floor at Crown Metropol. Mix it up with the best views of the city skyline, accompanied by live theatrical performances while you eat.